As a leading Independent day school, we educate boys and girls aged 2-11 within our 60 acres of beautiful grounds; located in idyllic Oxfordshire countryside, yet just five miles from Oxford itself. Alongside such an enviable location, we pride ourselves on exceptional academic achievement, genuine pastoral care and empathy, and superb facilities. These include bright modern classrooms as well as state-of-the-art rooms for Science, Art, Music, Design and Food Technology. Not forgetting our impressive sports facilities and extensive private rural surroundings that include a low-ropes course in the bluebell wood. With us, your son or daughter has a world of opportunity to realise their true potential. "When I began as Head here in January 2018, it felt just like coming home. I worked at Chandlings as a teacher when the school originally opened in 1994 - and I stayed for a further 12 years. Now that I've returned, this school is closer to my heart than ever. I am keen for you and your child to think the same way about this special place, too. Surrounded by an idyllic 60 acres of gorgeous Oxfordshire countryside, we have retained a small-school ethos, despite now having over 350 pupils. That means creating a nurturing environment in which we achieve exceptional academic results whereby children learn almost without realising; while enjoying all the fun, extra-curricular opportunities so vital to their wellbeing. Our school provides an excellent all-round education. We’re especially proud of gaining outstanding academic results within a warm and secure learning environment. Small class sizes throughout the school years enable focused teaching to take place and ensure that our children are both challenged and inspired to progress their learning. Each child is well prepared for each stage of their education and we always take time to talk to parents about this journey. Our children are able to fulfil their potential and successfully gain entry to highly selective senior schools. Every year, we celebrate the academic achievements of our leavers, including prestigious scholarships awarded for excellence in academic subjects, sport, art and drama. In 2018, our children were offered 24 scholarships to highly acclaimed secondary schools. Excellent pastoral care is at the heart of our learning philosophy. Every child is valued as an individual and our talented team of staff work together to ensure that they continually listen and support them, in developing the skills for a successful life. Our house system encourages interaction between different year groups, providing opportunities for all children to join together for school-wide activities. A diverse range of excursions complement our enriching academic, cultural and sporting curriculum. Above all, our children are truly nurtured and cherished as part of the Chandlings family. Fresh air, fun & friendship Our school is set in 60 blissful acres of grounds and we believe our children deserve to make the most of them - by playing and exploring their natural surroundings. That’s why our children spend a lot of school time outdoors: supporting our curriculum lessons, playing, or taking part in a numerous clubs and activities at lunchtime or before and after school. In fact, the outdoors is integral to everything we do. Our children enjoy regular lunchtime picnics under their year group’s specially adopted tree. Meanwhile the Nursery has its own designated woodland area for play and older children spend time in the Bluebell woods where they’re free to build dens and explore. They can also pond-dip from the pontoon, use the purpose-built bird hide, or test their skills on our newly-built low ropes course! It’s all part of letting our children discover what they love and excel at outside the classroom. 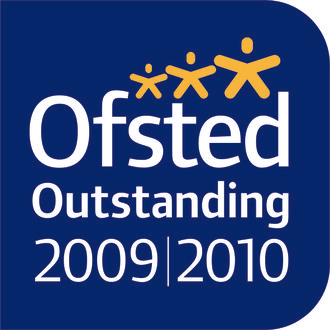 We’re tremendously proud of the outstanding academic achievements of our children. It’s why we continue to receive offers to the most highly acclaimed senior schools in Oxfordshire and beyond. In 2018, over 84% of Chandlings pupils were offered places at their first choice of school.